Most of the people within Batangas are unaware about this hidden gem, located at Brgy. Cuta Batangas City. 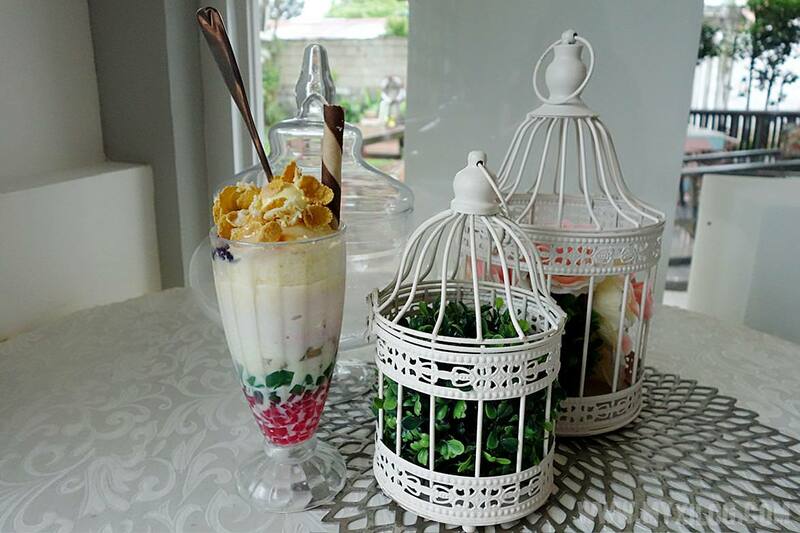 Here lies a shabby chic and Nordic inspired cafe that offers an array of Filipino food with a twist. To be honest, me and GJ are yet to discover my own traditional food. I might be born and raised in the Philippines but food at home is somehow infused with different cuisine. My mom though is a very good cook when it comes to Filipino viands, but me, a total disaster in that term. I most enjoy preparing more complex meals than what I should have first learned myself, Pinoy food. 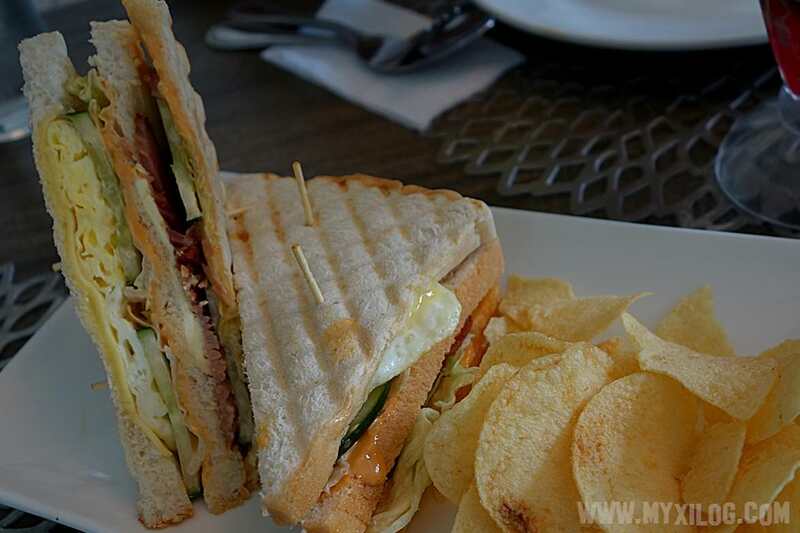 Enough said, let me introduce you this cafe’s premium offerings and why I like them. Let’s start with their pastas. First off, here's a Filipino style of Spaghetti and Meatballs. 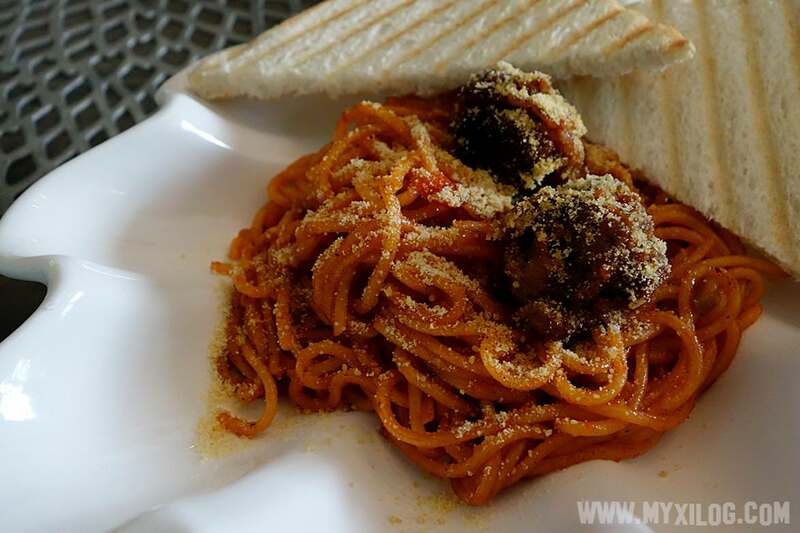 Lolo's Place's Cheesy Pinoy Style Spaghetti Meatballs (₱150) uses no ordinary cheese. 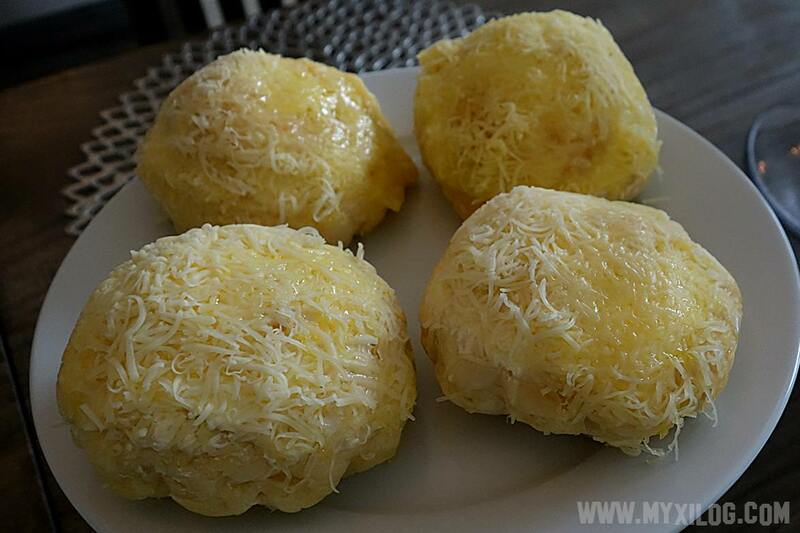 They leveled up with Parmesan on top, still keeping the taste according to Pinoy's liking. 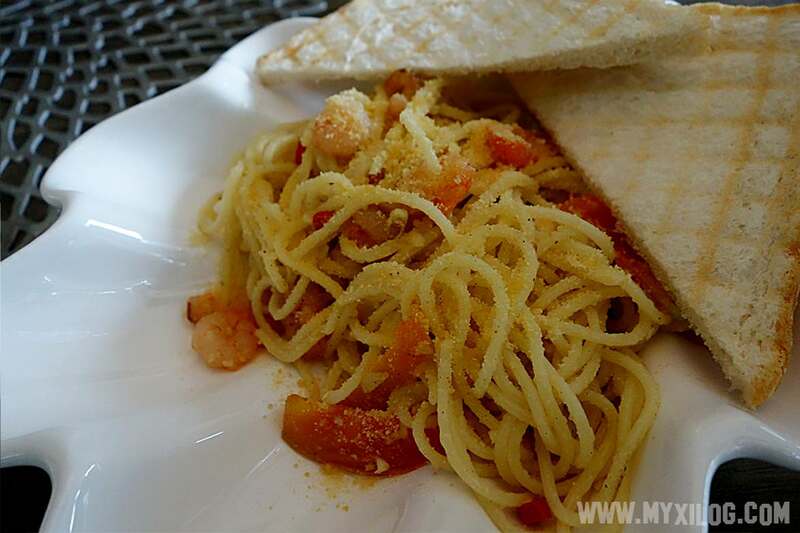 This is Spicy Garlic Shrimp pasta (₱150). Shrimp is not my best friend but I do recommend you to try it too! 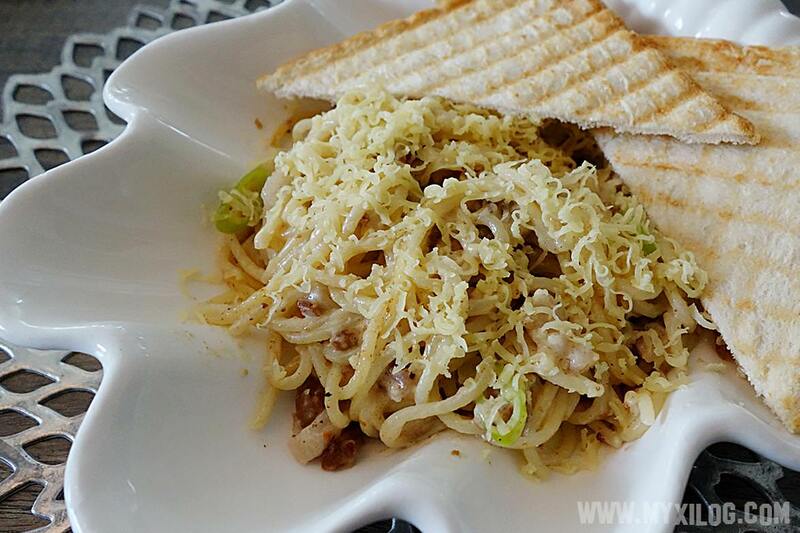 Another fusion cuisine was this Sisig Pasta (₱150). If you're tired of having kanin (rice) all the time, this is a good alternative. Who would have thought that this Pinoy viand will go a long way with a Western style? Another dish worth trying. Last but definitely not the least was my favorite! (Or everyone's favorite!) 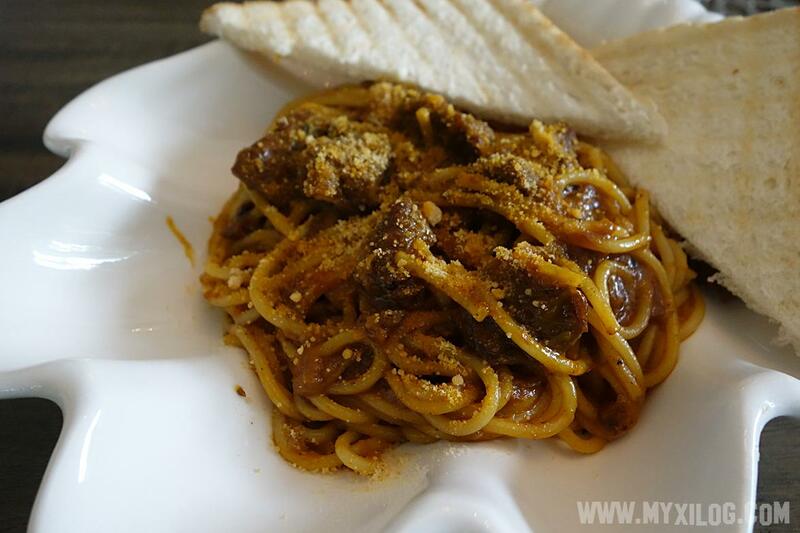 Here's Lolo's Place Batangas' Caldereta Pasta (₱150). Who would say no to Caldereta? Their meals does not stop there. They also serve sandwiches for those who want light meals. Here's their Ham and Cheese (Excellente) (₱160). 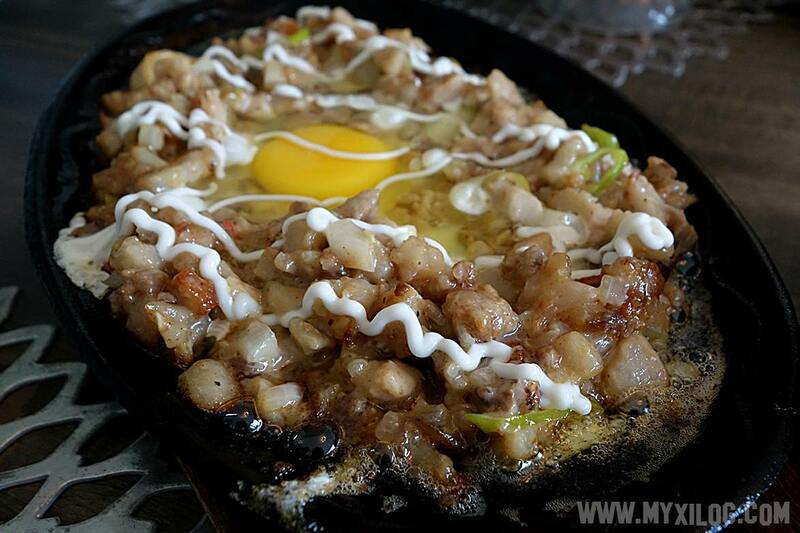 As for GJ, Sizzling Sisig (₱85) is something he needs to try. Appreciation smile from my husband who loves this food (He's so happy! I can tell!)! They were generous enough to have a serving of this dish! Though not part of the menu, their Enseymada is a secret dish for those looking for small meryenda (snack). It is how an enseymada should be, soft, fluffy, cheesy and buttery! Let's head now for dessert, shall we? Even before I had my first step at Lolo's Place Batangas, this dish was well told of. 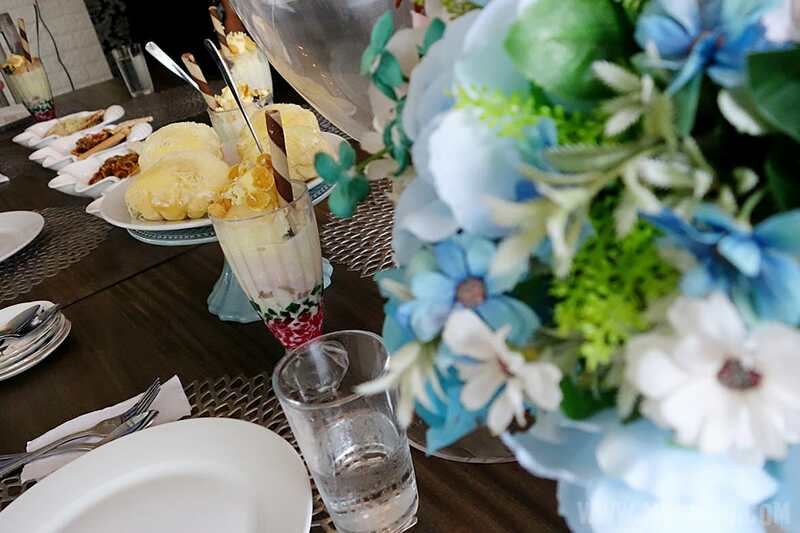 Yes, it is their best seller Halohalo (₱85). 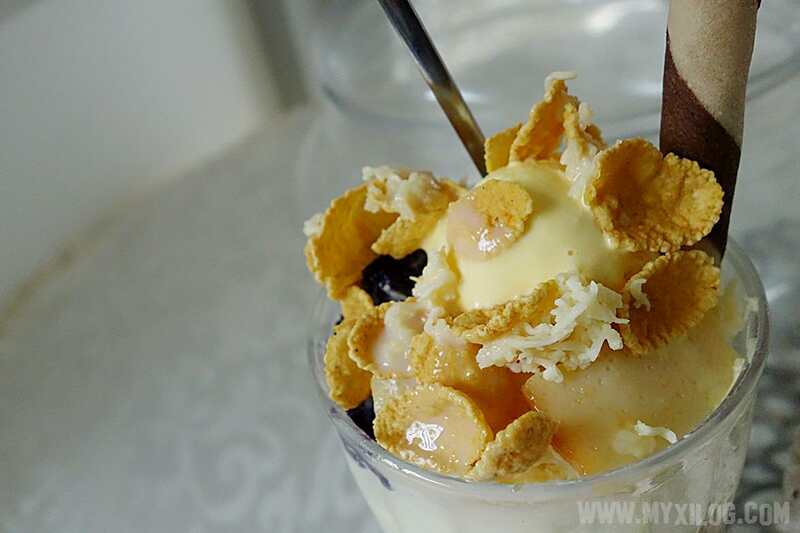 Unlike any other halohalo in town, theirs comes with a very creamy ice slush topped with corn flakes. Just do not misinterpret its weight, for it might be as heavy as a meal but it is definitely a confection. Another dish to be on your "Must Try" list! It was a pleasure to be invited and served with my writer buddies at Lolo's Place Batangas. It is a one stop cafe for good people, good food, great times.